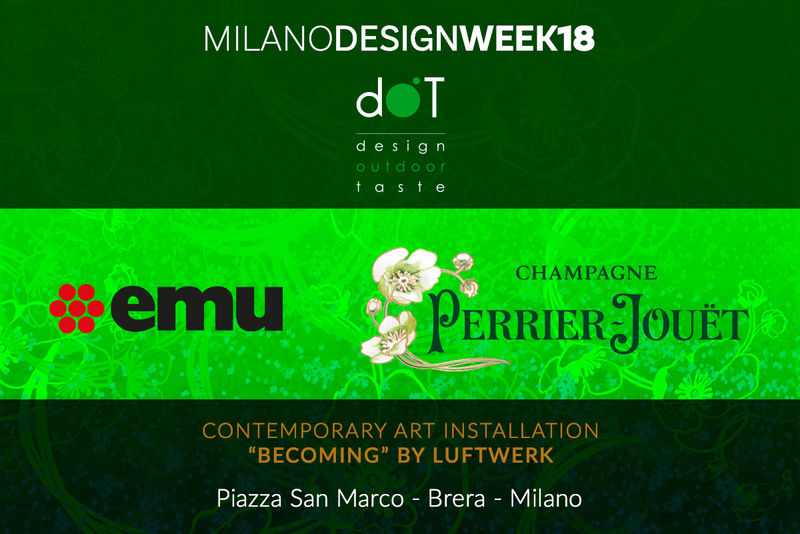 EMU and Perrier Jouët Champagne join again at D.O.T. (Design Outdoor Taste), the event dedicated to the many forms of outdoor living showcased in Piazza San Marco, the very heart of Brera Design District, from April the 17th to the 22nd. This edition brings an interesting novelty, such as the lighting art installation “Becoming” of the artistic duo Luftwerk, an immersive work commissioned by Perrier-Jouët, for the first time in Europe. The artists interpreted the iconic motif of the Maison’s Belle Epoque bottle, creating a colorful digital experience as an enveloping journey through the energy and beauty of nature. Within this scenario, EMU presents its outdor novelties for the Salone del Mobile together with the brand new collection Tami by Patrick Norguet, a sofa collection that will furnish the relax areas.